NEW PRICE! WindCather is a premier, custom built, 5 bedroom, 5 bathroom, Sound Front home in Kinnakeet Shores with views galore! Beautiful custom home! So many top notch amenities to name, so let's go... Elevator, 2 Rinnai Tankless Hot Water Heaters, Energy Recovery Ventilator, Gas Fireplace, Intercom, Multiple screened porches, Hurricane Shutters, Metal roof, Lightning rods, Trex type decking, Certainteed brand shake/shingle siding, Solid maple hardwood tongue & groove flooring throughout, Multiple locked owner's storage for kite or wind surfing equipment, Multiple interior owner's storage closets, Game room, First Level Master and en suite, Tiki bar with sink, Sunk in concrete hot tub, Glass panel pool deck fencing, Salt water - heated private pool, Handicap accessible, and the list goes on. 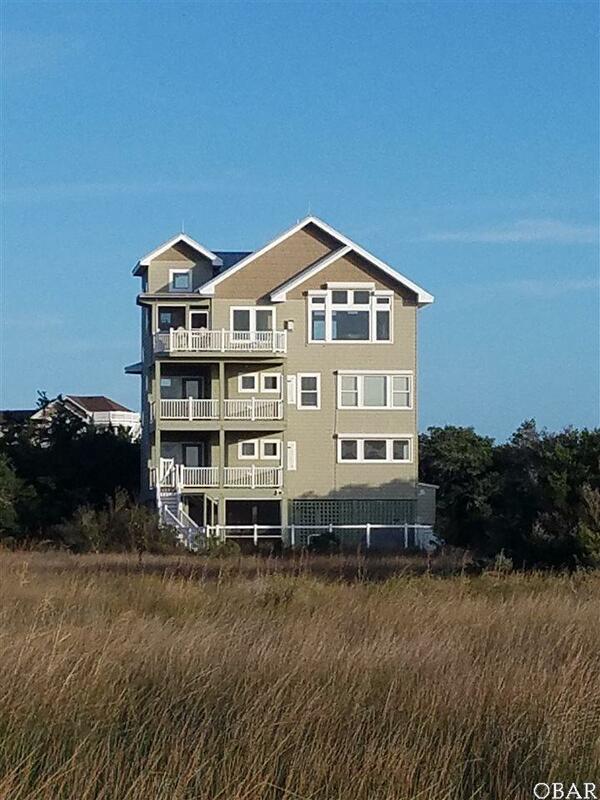 WindCatcher is a favorite among many for the easy access to the sound and fantastic water and nature views! Water and wind sport enthusiasts must see! The community walkway to the Kinnakeet Shores pristine Sound Front beach is just a couple homesites (short walk even with gear) down offering excellent kitesurfing, windsurfing, and relaxation access! TONS OF STORAGE FOR KITE OR WIND SURFING AND WATERSPORTS GEAR! WindCatcher is an ideal property for your Year round, Second, or Investment home get a way! Consistent rental calendar and spectacular location! WindCatcher is truly unique and is sure to catch your attention! Listing courtesy of Liz Midgett of Midgett Realty - Avon.